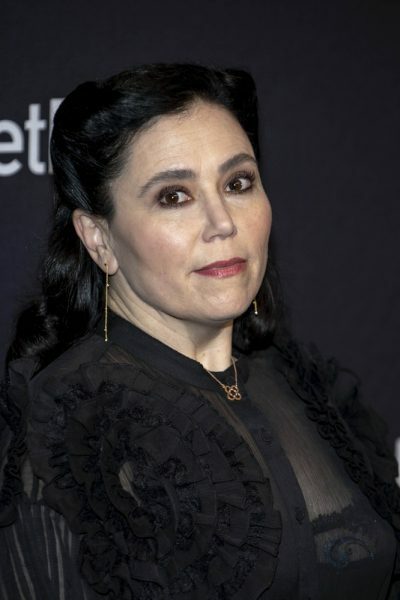 Alex Borstein is an American actress, writer, producer, and comedian. She is the daughter of Judith and Irving J. Borstein, who are mental health professionals. Her mother was born in Budapest, Hungary, to a Jewish family from Hungary and Serbia. She is a Holocaust survivor. She moved to the United States after the Hungarian Revolution of 1956. Alex has two children with her former husband, actor and writer Jackson Douglas. Alex’s paternal grandparents were Paul Borstein and Bessie Kaufman (the daughter of Helen). Paul and Bessie were Polish Jewish immigrants. Alex’s maternal grandfather was Jenö Grünfeld (later Eugene Gábor). Jenö was born in Debrecen, Hungary. Alex’s maternal grandmother was Vera Winternitz (the daughter of Dezsö Winternitz and Gizella Lakner/Laquer). Dezsö was born in Subotica, Serbia. Gizella was born in Pest County, Hungary. Dezsö and Gizella were killed in the Holocaust, in Auschwitz. Alex has stated that her heritage is “Hungarian-Mongolian,” evidently coming from her maternal grandmother. Alex’s grandmother Vera Winternitz was the granddaughter of Zsigmond Winternitz and Netti Weitzenfeld on her father’s side, and of László Lakner and Johanna Wachs on her mother’s side. It does not appear that any of them were Mongolian.